Dr. Leslie Tay wasn’t the only famous Singaporean we were lucky to meet up with during our trip to the little red dot. We also had lunch with the folks from SimplyTweet and they suggested we sample a popular Chinese dish in Singapore and other parts of South East Asia called Bak Kut Teh. 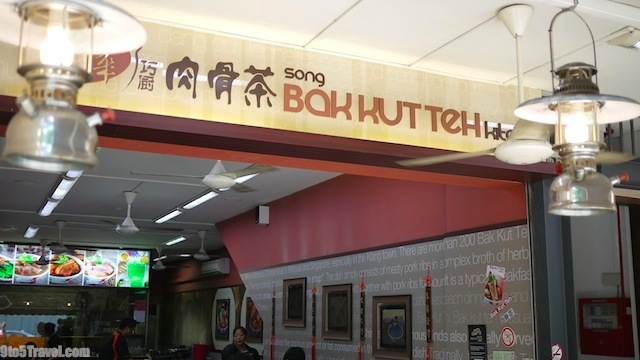 The couple took us to Song Huat Bak Kut Teh Kitchen, just a short walk from Orchard Road. Bak Kut Teh, meaning “meat bone tea”, is a comforting soup containing hearty pork ribs simmered for hours in a complex broth of herbs and spices, including star anise, cinnamon, cloves, fennel seeds and garlic. We tasted the Teochew version at this restaurant which has a clearer broth and more peppery taste. Bak Kut Teh is usually accompanied by a meticulous selection of Chinese teas, but we opted for some refreshing housemade iced beverages instead. In this tropical climate of 32 degrees Celsius and over 90% humidity, icy drinks are the only way to go! 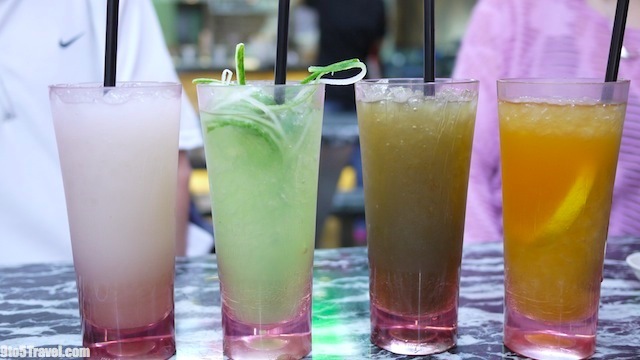 Picture from left to right in the photo above is the Barley, Green Lantern with lime and cucumber, Water Chestnut, and Lemon Tea. Bak Kut Teh is enjoyed with steamed white rice on the side and is most often served with you tiao (deep-fried dough fritters) just like the savory Chinese doughnuts you get with jook (congee). To accompany our Bak Kut Teh, we had a few extra dishes including some braised pork belly, salted preserved vegetables and greens topped with crispy fried onion. 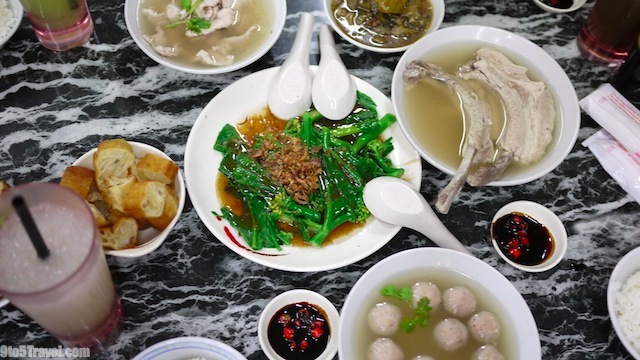 In addition to the pork bone soup, we also ordered bowls of loin boneless soup and juicy pork ball soup both garnished with fragrant coriander leaves. We dipped the fork-tender meat into a sweet and spicy condiment of dark soya sauce with chopped red chilli. Delish! Special thanks to SimplyTweet for their gracious hospitality!